The Dosas and Potato Sabji and Chutney were barely digested and I was already onto lunch. 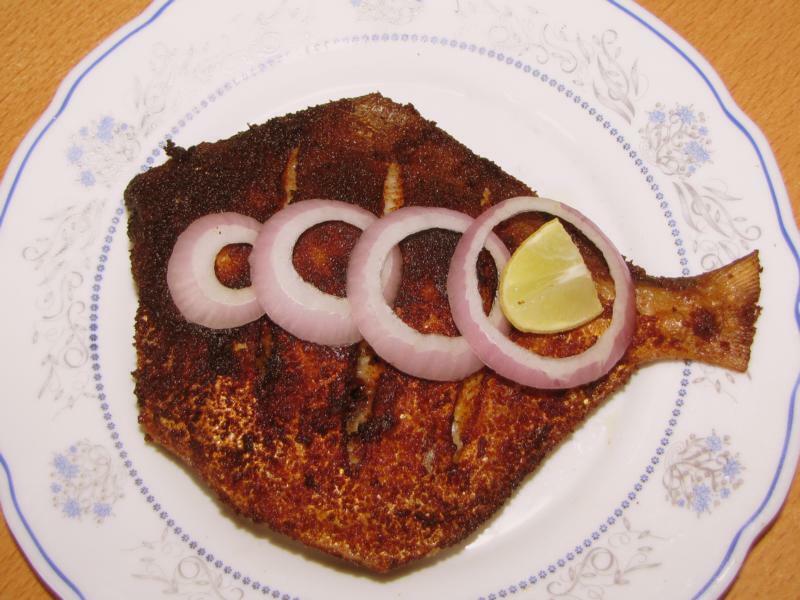 Got my hands on some really fresh Pomfret fish the previous day and I couldn’t wait to cook them. 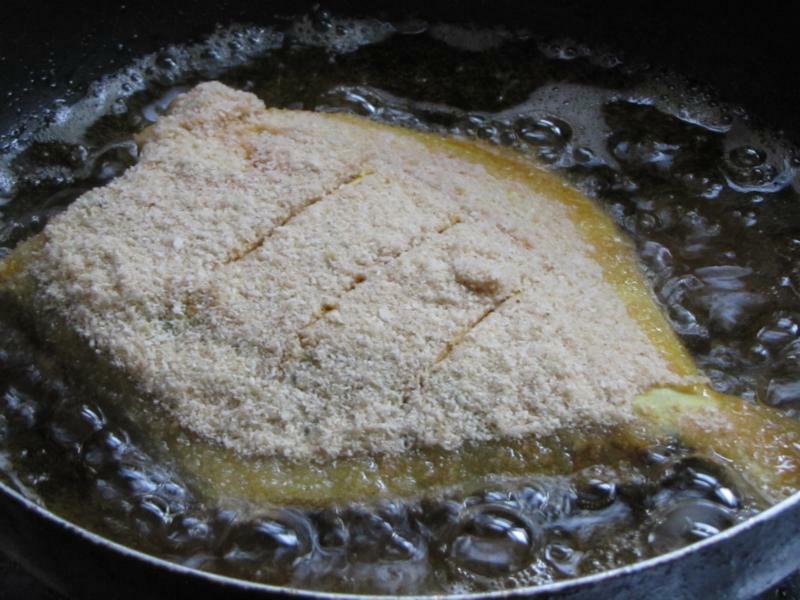 I make fish curry a lot but I absolutely love to fry fish when it is fresh and new and firm. I wanted to try something different for my little girl… that she would also enjoy. So I stood in the kitchen thinking… I picked out some things and decided to do a batter fried fish but not with a heavy batter…. just a light coating to make it crispy. Marinated the fish in some basic spices and let it sit for an hour. 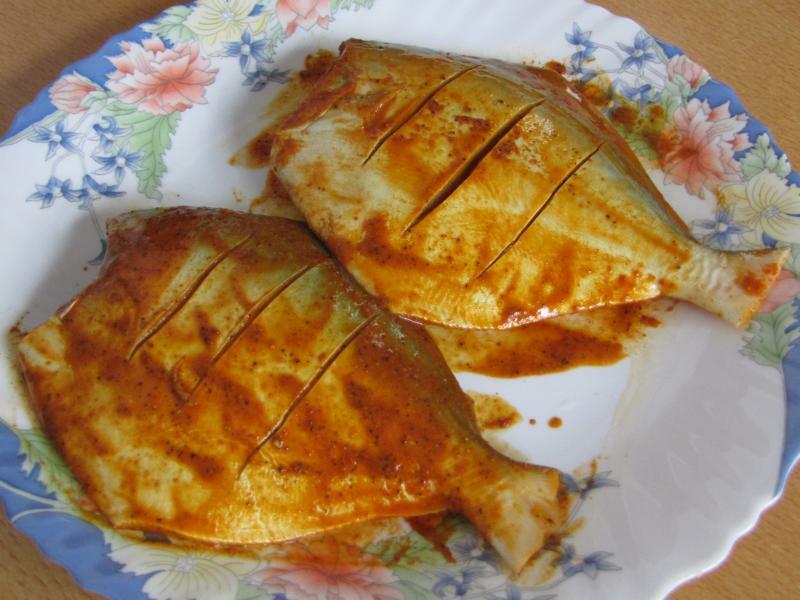 I use lime juice in the marinade to cut out the strong smell of the fish. Vinegar is also a good option. Before frying dip it in cornflour and coat it with bread crumbs. 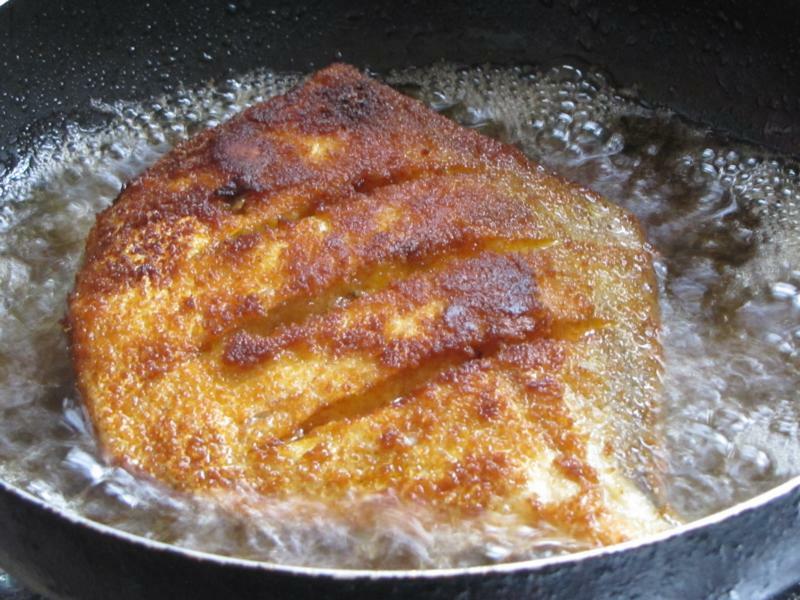 Shallow fry on medium flame till golden brown on both sides. I was really happy with the result. It is simple, quick and beautiful. The best part was when I saw my daughter gobble it down. Definitely going to make more of this soon. 2 medium White Pomfret fish – Clean well. Remove scales. Leave the tail. Marinate the fish with the marinade ingredients. Keep aside for 1 hour. 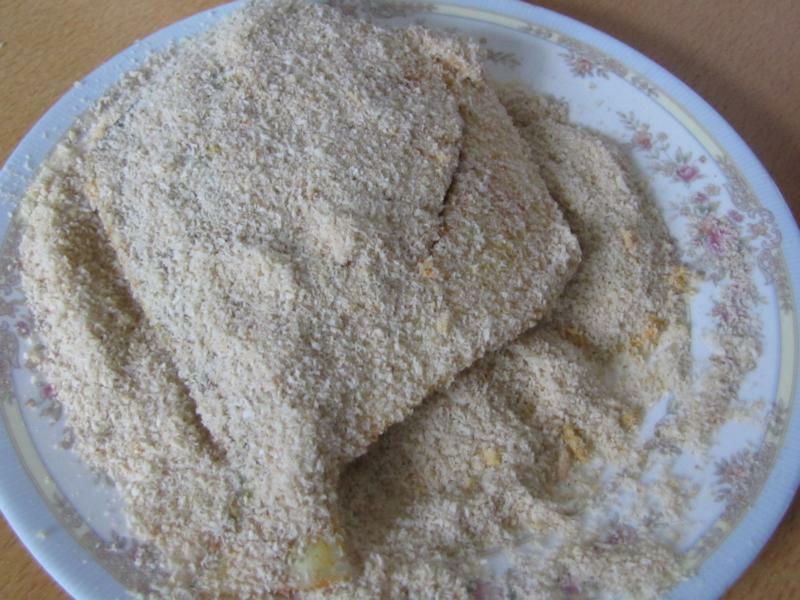 Dip the fish in the cornflour and coat with breadcrumbs. Shallow fry on medium flame till golden brown and crisp on both sides. Garnish with onion ringlets and a slice of lemon. Serve hot.